Angie Graf has been in the recruiting world for 10+ years. She began her career recruiting students for colleges and universities. At Sage Human Capital she partnered with Fortune 500 companies and emerging brands recruiting talent for marketing, technology and sales roles. In finding her niche working with communications professionals, she was instrumental in building the company’s PR/Communications/Social & Digital Media Practice from scratch. PR Talent allows her to focus on what she enjoys most about her job – building relationships, assisting communications talent in their career paths and helping companies grow their teams. 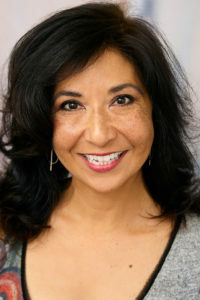 Angie received her BA in Economics from the University of California, Davis and her MBA from University of Hartford, Connecticut. In her free time you can find Angie exploring new restaurants or the latest art exhibit in the San Francisco Bay Area. An avowed supertaster. Very intense taste buds! Recruiter by day, stand-up comedian (dreams) by night. Family members are musicians. I inherited the tone-deaf gene. A total night owl… and a hoot!